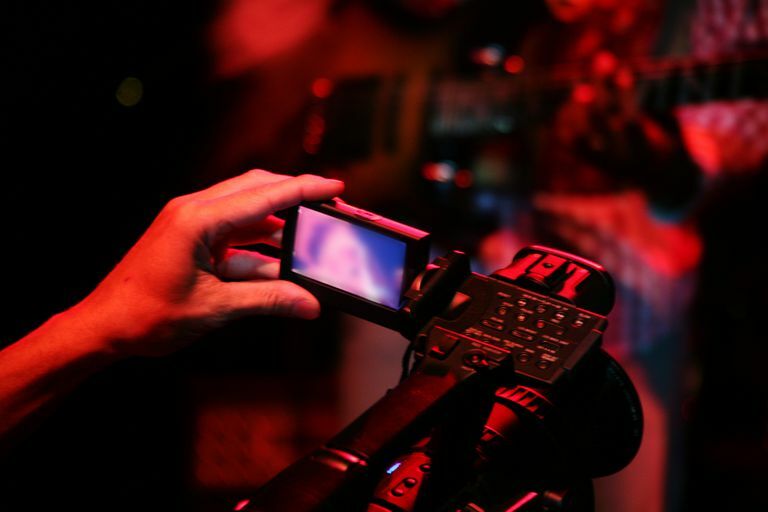 Many camcorders (and even smartphones) include some form of image stabilization (IS) technology to reduce video blur that results from shaky hands or body movement. The most basic is a tripod but there are two forms of technologies that take it a step further: optical and digital. Image stabilization is important for all camcorders, but it's particularly crucial in those that have slow shutter speeds or long optical zoom lenses. When a lens is zoomed out to its maximum magnification, it becomes extremely sensitive to even the slightest motion. Some manufacturers put a brand name on their image stabilization technology. Sony dubs it SteadyShot while Panasonic calls their Mega O.I.S and Pentax Shake Reduction. Each has their nuances but they perform the same function. In any case, you should always peer behind the marketing jargon and take a look at the specifications. It should indicate whether a given camcorder has optical or digital stabilization or both. Optical image stabilization (OIS) is the most effective form of image stabilization. Camcorders with optical image stabilization typically feature tiny gyro-sensors inside the lens that quickly shift pieces of the lens glass to the off-set motion before the image is converted to a digital form. An image stabilization technology is considered optical if it features a moving element inside the lens. Some camcorder manufacturers let you turn optical image stabilization on and off, or include several modes to compensate for different kinds of camera movement (either vertical or horizontal). Unlike optical systems, digital image stabilization (also called electronic image stabilization, or EIS) uses software technology to reduce the impact of shaky hands on video. Depending on the model, this can be accomplished in several ways. Some camcorders will calculate the impact of your body movement and use that data to adjust which pixels on the camcorder's image sensor are being used. It uses pixels from beyond the visible frame as motion buffer to smooth over the transition frame by frame. For consumer digital camcorders, digital image stabilization is usually less effective than optical stabilization. Given that, it pays to look closely when a camcorder claims to have "image stabilization." It might only be of the digital variety. There are also software programs that can apply a stabilization filter to the video even after it's been taken, by tracking the pixel movements and adjusting the frame. However, this results in either a smaller cropped image due to a reduced frame or extrapolation to fill in the lost edges. Although optical and digital stabilization is most common, other technologies attempt to fix unstable video too. For example, there are external systems that stabilize the entire camera body instead of having it take place inside the camera lens. The way this works is by having a gyroscope attached to the body of the camera to do the stabilizing. These are often seen when photographing from a moving vehicle. Another is orthogonal transfer CCD (OTCCD), which is used in astronomy to stabilize still pictures.